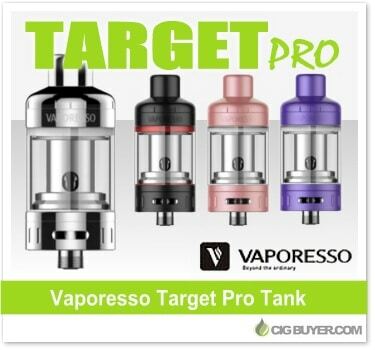 Building upon the original Target Tank (and one of the first tanks to incorporate a ceramic coil), the Vaporesso Target Pro Tank has been completely overhauled with a sleek new curved design, top-fill capability and stainless steel CCELL coils. The CCELL is what put Vaporesso on the map, consisting of a wire heating element surrounded by a ceramic which can last for months, while producing robust flavor with no spitting or dry hits. The Target Pro has 2.5ml of capacity, comes with two SS coils and incorporates a new leak resistant design.